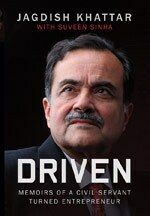 Former Maruti Suzuki MD Jagdish Khattar's autobiography, co-authored by Business Today's Executive Editor Suveen Sinha, spreads across a sweeping canvas from drought- and flood-hit villages to the Shakespearean intrigues of politicians and bureaucrats. Thomas Mathew, Karunakaran's private secretary, an IAS officer from Kerala, was an arrogant man. He drew up a list of things required at the minister's bungalow, allotted by the government. These were divided into packages, such as air conditioners, furnishings, etc. There was also a swimming pool on the list. Various public sector units were contacted and told to provide one of the packages. Mathew informed Bhargava that 'the package' Maruti had to supply to the minister's residence included more than a dozen air conditioners and two cars. Bhargava, in response, chose to assert his civil services seniority. At a meeting of Maruti's directors, he waved the list of demands and said the company had never done this before for any minister and there was no need to change that now. The Japanese had no view on the matter and went along with Bhargava. I thought dismissing the request could create problems and suggested we speak with Mathew and see if we could arrive at an amicable solution. At times, it helps to delay such decisions. But Bhargava believed that a clear reply was the correct way. Mathew was informed of the company's refusal. It was a principled decision, but one that created a formidable adversary. Around this time, T.R. Prasad became the industry secretary. At Maruti, his was an animated presence. Aggressive by nature, he was out to embarrass Bhargava. One of his early acts as the industry secretary was to accuse Bhargava of playing foul with the government to get Suzuki additional equity at a low price. He also made allegations against A.N. Verma. Prasad's arrival gave wings to Bhaskarudu, who was director-materials at Maruti. They were both from Andhra Pradesh. Bhaskarudu was cut up at being overlooked for the position of Bhargava's successor. Such shenanigans were not uncommon in public sector units. I was now summoned often to the ministry and asked to respond to various issues. I was often told that, being a government nominee, I could be removed from the director's post if I did not do as instructed. My fellow director, K. Kumar, received similar messages. Both of us thought of ourselves as neutral and professional, but the others clearly did not. On one occasion, the minister called me to his office. Prasad was present there when I reached, as was Mathew. Their brief was to scuttle plans that Suzuki had finalized for new models and for the expansion of capacity. These plans were to be placed before the board of directors of Maruti for approval. As a government nominee on the board, I was advised to oppose the proposal. This was partly to spite Suzuki. But there was another reason for this. If the plan for expansion and new models was approved, it would require a fresh infusion of funds. The government could not have brought in its share of funds because that would have run contrary to the economic reform programme which was supposed to reduce its role in the economy. The process of divesting the government's equity in PSUs had begun. The minister could see that if the proposals were approved and Suzuki brought in all the funds, the equity structure of the company would have to change. The government would have no choice but to hand over control to its Japanese partner. My view was that we ought not to hold back the launch of new models or the plan to expand capacity. From the time I joined the company, I had been propagating that we needed to prepare for the competition. Now, as the head of marketing and sales, it would not be right on my part to oppose a proposal that was arming us against the competition. Prasad insisted that as the government's nominee on the board, it was my duty to do as the government wanted me to. My view was that as a member of the board, my duty was to act in the interests of the company unless a proposal came in conflict with government policy. It was then that I reminded Prasad of the argument we had had in the case of the Vizag Steel Plant. "As a board member, I have to act in the interests of the company, unless I receive a specific directive from the nominator," I reasoned. "If you want me to oppose the proposal, let the government issue a directive and give it to me in writing. Else, allow me to act according to my conscience." Neither the minister nor Prasad had expected me to take this stand. Finally, after a heated discussion, Prasad said: "You are our nominee. We can remove you." I said the government was free to do so. I came to know that a similar meeting had taken place with Dr Kumar, who had taken a stand similar to mine. In 1996, the government wrote to the Maruti board that I was being withdrawn as its nominee. In the case of Dr Kumar, they linked his removal to his superannuation. Bhargava called me to his office to show me the letter. I asked if I had lost my job. "No," he said, "the only thing is that you will not be on the board." My designation, too, had to change. He toyed with the designation of OSD, but I thought it would be a trifle embarrassing to go back to a designation I had given up some time ago. So he made me an executive director and I continued performing the same functions as director-marketing. I attended the board meetings as a special invitee. For wit did not hurt much, as it was perhaps the only way to save my job. Or, was it? After all these years, I cannot help feeling that Bhargava could have defused the situation with the government in some measure by not always having his way. The agreement of 1992 between the two shareholders said that to start with, the government would nominate the chairman and Suzuki the MD. While Bhargava had continued as the MD as Suzuki's nominee, for four years the government could not formally nominate the chairman. 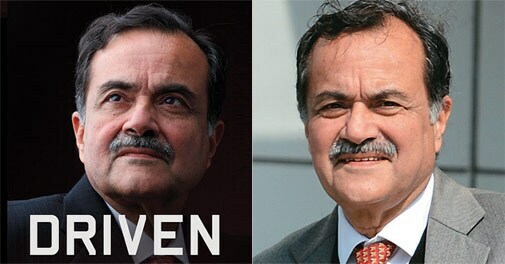 The earlier industry secretaries, Surendra Singh and Ashok Chandra, were keen on becoming the chairman but their nomination could not obtain the approval of the Prime Minister's Office, where Verma was the boss. It was the same case with Prasad. Verma had kept the file with him without clearing it. The reason, according to Surendra Singh and Ashok Chandra, was that Bhargava did not want someone junior to him in service to become the chairman of the company. That led to a curious situation. At every board meeting, Prasad would be elected to preside, but never by legal right. This caused heartburn among bureaucrats and they always looked for an opportunity to embarrass the management. When Karunakaran became the minister, Prasad was nominated the chairman. I, as director-marketing, was told late one evening to contact him and find out which car he would like. The green Esteem he asked for was delivered overnight. During those years of friction, Maruti did not launch any new model and did not invest in expansion, even as the automobile sector gradually opened up to let in competition from big multinational companies.